A teacher who twisted one pupil's ears and "banged" the head of another against a partition wall has been struck off from the profession. Ivan Reed worked at Nene Park Academy in Peterborough when he came up behind a Year 7 pupil to twist his ears, leaving him "trying hard not to cry". Mr Reed also punched a pupil in the arm, shouted loudly into his ear and pushed his head against the partition. A panel found the 58-year-old's actions were "completely unacceptable". The misconduct panel added that the incidents occurred after Mr Reed received "clear and unambiguous instructions and advice" about physical conduct with pupils, dating back to 2011. Mr Reed said he had a good relationship with the pupil whose ears he pulled and that it was "not done with malice". A teaching assistant said the pupil told her afterwards, "I know he was only joking but it hurt", and Mr Reed was suspended soon afterwards in September 2016. 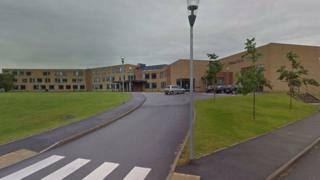 The panel heard the incident with the punched arm was intended in a "humorous way" but the pupil was "hurt and upset". It found he had engaged in "inappropriate physical contact" with the two pupils and "failed to maintain appropriate professional boundaries and standards". However, it added in mitigation that there was no evidence he had deliberately set out to harm either pupil. The panel also heard Mr Reed had been sent a letter about his conduct with students after an allegation he put his arm around a female student in 2011. He was then further reminded of the boundaries on two other occasions, including a time he waved his fist in the face of one pupil and grabbed the clothes of another from another school. Mr Reed, who resigned from his position in February 2017, has been banned from teaching indefinitely, but can reapply to lift this in three years.